It's the end of the year, and if you are looking for a fun holiday gift celebrating a student's involvement in the Math League, why not check out a Math League T-Shirt? Our Online Store has a wide variety of Math League merchandise. Why not add a little Math to the holidays? 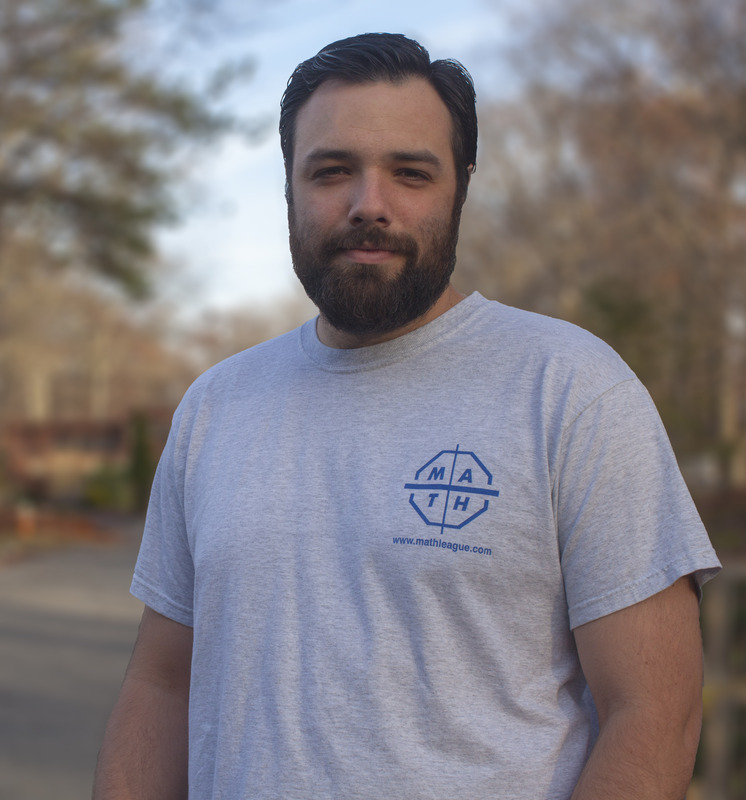 Click Here to find all of our T-Shirts at our Online Store! The online results for the #2 High School Contest for 2014-2015 have been posted! Email results are due to be sent shortly. You can find them on the page for Contest Results High School December 2014, or by clicking the Latest Contest Results button above. Saturday. August 1, 2015, The Math League will hold its Second Annual Sino-American International Mathematics Competition at SUNY-Stony Brook. Students from North America and China will compete for individual honors. The event will begin in the morning with the competition held from 9 AM to 12 Noon. The competition will consist of 10 Individual questions and a 60-question, 45-minute speed round. This will be followed by lunch at the University, an awards ceremony, and a tour of the campus. 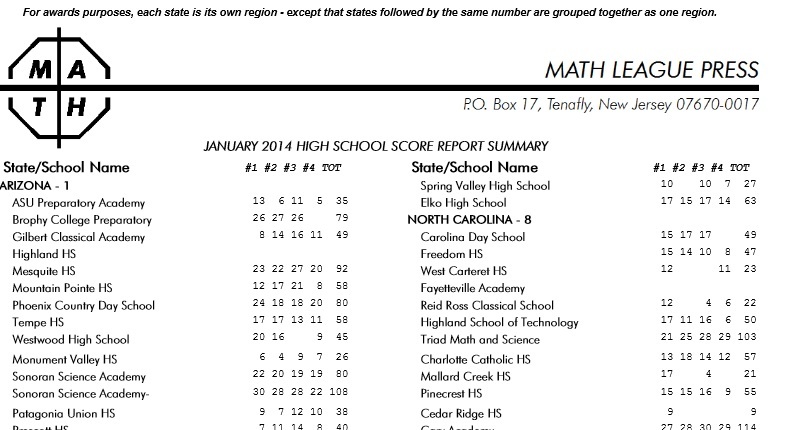 The online results for the#1 High School Contest for 2014-2015 have been posted! Email results are due to be sent shortly. You can find them on the page for Contest Results High School November 2014, or by clicking the Latest Contest Results button above. Click here for sample contests! 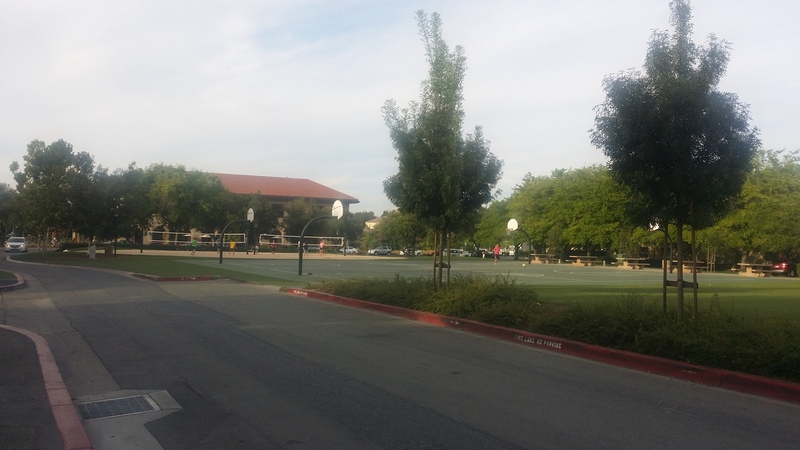 2014 Stony Brook-Math League Summer Tournament a.k.a. 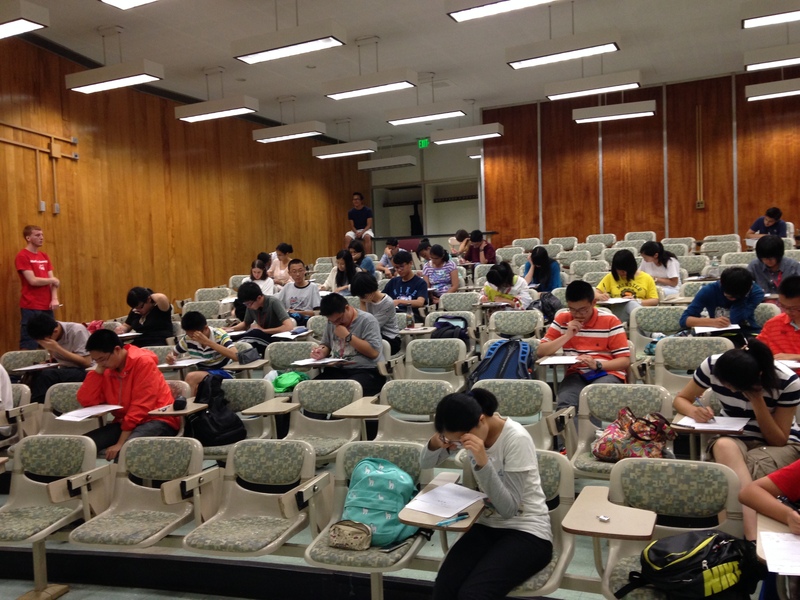 First Annual Sino-American International Mathematics League Competition, 07/27/2014, Stony Brook University. 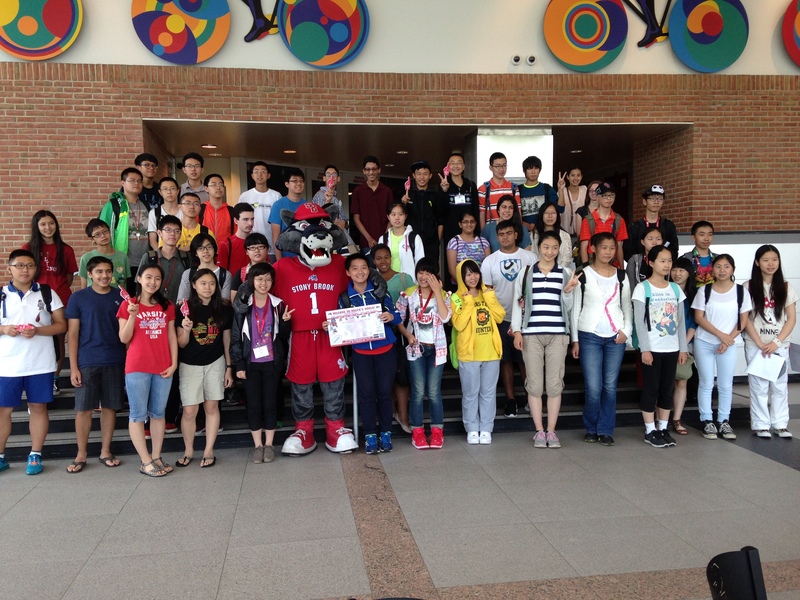 On July 27, 2014, 26 high school students from China with outstanding performance in Math League China Preliminary Contests, 1 student from Taiwan, and 27 students from US, participated in 2014 Stony Brook University - Math League Summer Tournament a.k.a. First Annual Sino-American International Mathematics League Competition, at Stony Brook University. Here are the award winners for the First Annual Sino-American International Mathematics League Competition, organized by The Math League. The results of the 4th, 5th and Algebra Math League Contests are now posted and available on the Contest Results page. An email to participating schools (with links to the full results) is being sent now as well. The Newsletter for the 4th and 5th grade and Algebra contests is also posted on the Newsletters page. 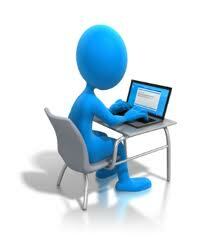 Test results for the 2013-2014 Grade 6, 7, and 8th Grade contests have been posted. One or two contests results are still in the process of being updated as corrections are sent to us. There is an error on Question #20 on the 5th Grade Contest scheduled for April 15th or later. Teachers who are administering this contest should write on the outside of the contest envelope that for question #20, students should replace "90" with "100." The solution sheet that accompanied the contest is correct; no change needs to be made to the solution. 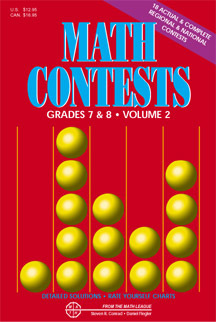 All participating teachers have received an email containing a link to a corrected contest pdf. If you haven't received this email and need the correct contest, please contact us by visiting our contact page.